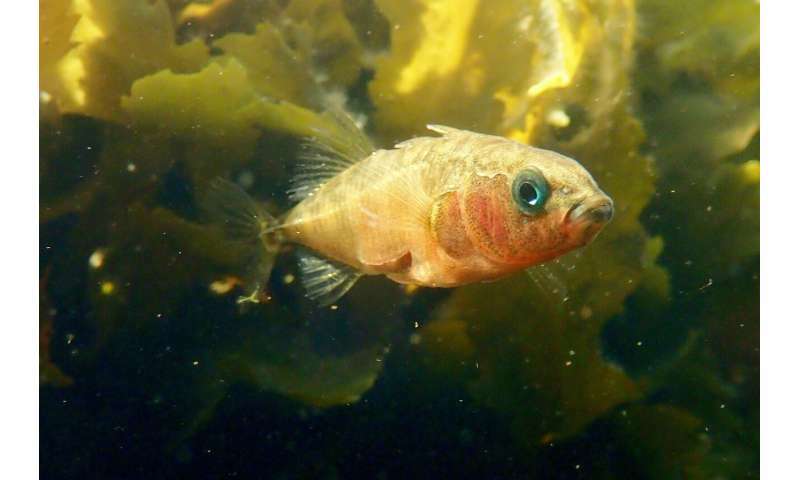 Genetic analysis of sticklebacks shows that isolated populations in similar environments develop in comparable ways. The basis for this is already present in the genome of their genetic ancestors. Evolutionary biologists from the University of Basel and the University of Nottingham report these insights in the journal Evolution Letters. Many examples can be found in nature of evolution producing the same characteristics repeatedly and independently. Similar adaptations to similar environmental conditions have been documented in numerous animal and plant species, even if primarily on the level of external characteristics. The extent to which similar populations have also made use of the same genetic variants during their evolution, however, is little known. A new study has now provided new insights into the genetic basis of such parallel evolution. To this end, researchers from the University of Basel and the University of Nottingham examined the genome of threespine sticklebacks. This is a popular fish among evolutionary biologists because it has adapted to a variety of habitats. In addition to this, the shared ancestor of freshwater populations – sticklebacks that originally lived in the ocean – still exists today, which enables an examination of the initial genetic base. On the Scottish island of North Uist, sticklebacks can be found in bodies of water with extremely varied pH values. While the lakes to the west contain alkaline water, the high moorland lakes in the east are acidic and low in nutrients. Studies of five populations from both the western and eastern lakes showed that the fish adapted to their alkaline or acidic habitat independently of each other, but in comparable ways. All five populations in the acidic lakes, for example, displayed a greatly reduced skeleton and stunted growth – probably as an adaptation to the lack of nutrients. In addition to the shared external characteristics, the researchers were also able to establish that changes in the genetic pool proceeded in very similar ways: the populations within the same type of habitat showed the same genetic variants in dozens of regions of the genome. This makes it possible to predict where in the genome changes will take place under the influence of a particular habitat – evolution becomes predictable to some extent. Genetic analysis of the marine ancestor also showed that the genetic variants that are beneficial for adapting to acidic or alkaline water are all present in the ancestor. Similar life forms, therefore, didn't occur randomly, but independently of each other through the predictable sorting of advantageous genetic variants that were already present in the genome.